Move to FYND and find your perfect style! Who doesn’t like shopping? In fact, we all love shopping. Gone are the days when you need to walk in and walk out of stores only to find that perfect product to your liking. But, with FYND you can simply browse through the products and have a super fun and easy shopping session. Apart from the above, the best thing in the FYND app is the Feed section where it throws up the latest trend in fashion based on your recent views and other criteria like age and gender. Along with that there is a small writing on the square wall that will perk you up with a tinge of humor as you keep scrolling down to view the products. Probably, that is one of the best things apart from the above mentioned points in the FYND app, at least for me. It has managed to amuse me time and again when I log in to the app. The other part which most shoppers now-a-days are used to is huge discounts and FYND is no different. Not only this, since the last few months there were plenty of campaigns running like ‘Festival of Fashion’, ‘Love Date’ ‘Office Happy Hours’ until this weekend and so on which were targeting a particular set of people looking for such kind of products. 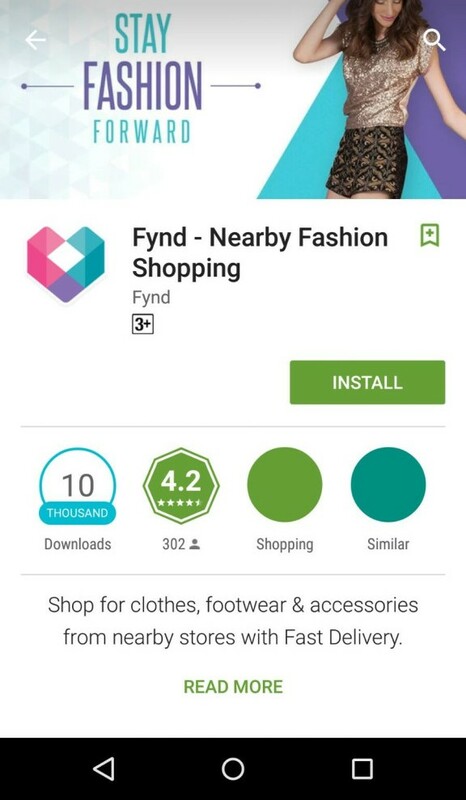 Moreover, the one major thing which differentiates FYND from other major shopping apps is the ‘Fynd-A-Fit’ section. It is a part which will help you to select the best size for you. We all want to wear such clothes which will fit according to our body type and selecting the size online poses a big problem. The team at FYND has identified this major problem and a solution for this too. FYND now allows to pick a product of your choice with the flexibility of selecting two sizes for the same product. Isn’t that something really cool for online shoppers like us? The good things in the FYND app not seems to end and I am pleased to state that how happy I am when I came to know of the lifetime return policy. Yes! You read that right. Lifetime returns for all the customers. The refunds will be initiated in two working days and credited into the same account from where the payment was initiated. In case of COD, the bank account details need to sent across to them to complete the process. Now coming upon the payment part, FYND has launched a revolutionary one touch payment system called as ‘Flashpay’. The thing in flashpay is that, it allows you to store your debit/credit card details and you need to only enter the CVV number before making the payment. The delivery system is also super fast. They claim to deliver in 4 hours on an average or at the most in a day’s time which is really quick. The only roadblock in the process is that, someone may walk in to the store where the store is also selling the products on the FYND app and purchase that product. Thus, rendering your choice of product not available once you have made the payment. This is something which the team at FYND needs to look into. The app is only functional in Mumbai and is soon planning to launch in other metro cities. So what are you waiting for? Just downlaod the app on your android or iOS device here and start FYNDing! 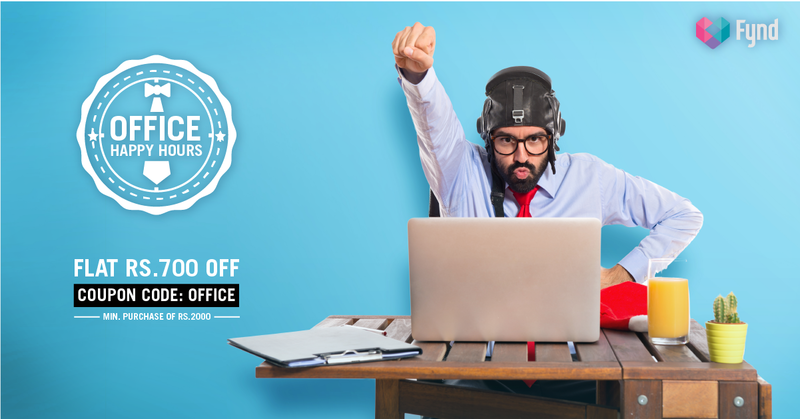 The first time customers also get a 500 INR discount on the minimum purchase of order worth 2000 INR. So hurry and start FYNDing!